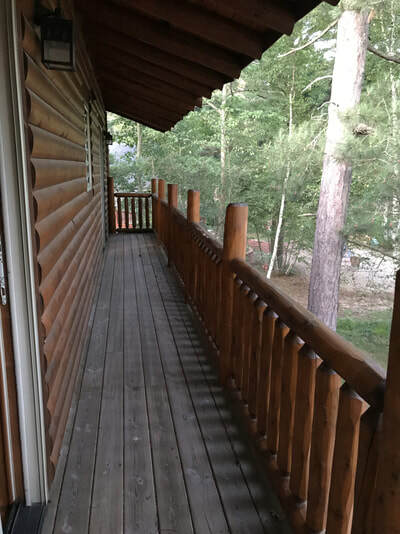 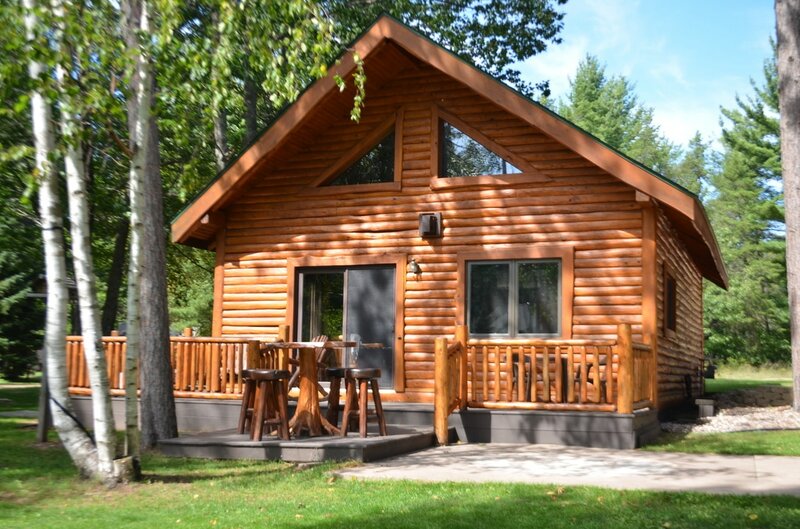 Our beautiful modern log cabins are located on the river banks of the world famous Au Train River. 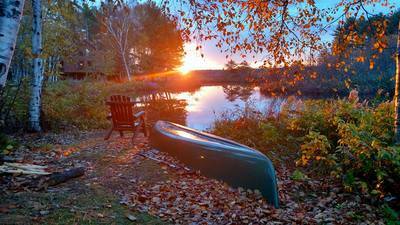 The river is known for is slow moving family friendly kayaking experiences it offers visitors to the area. 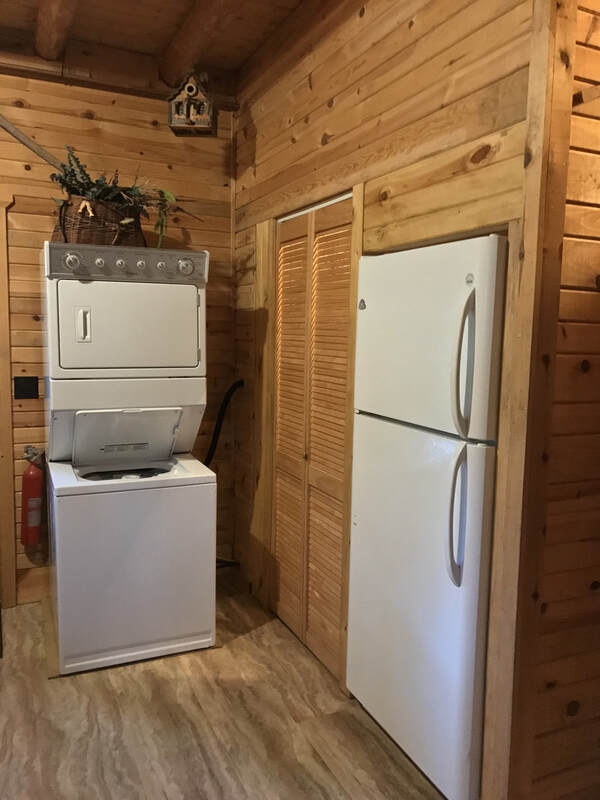 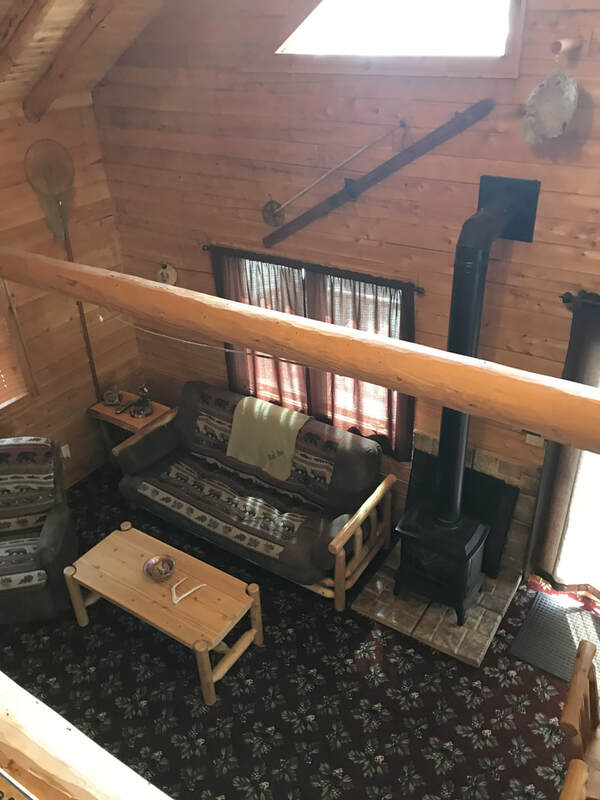 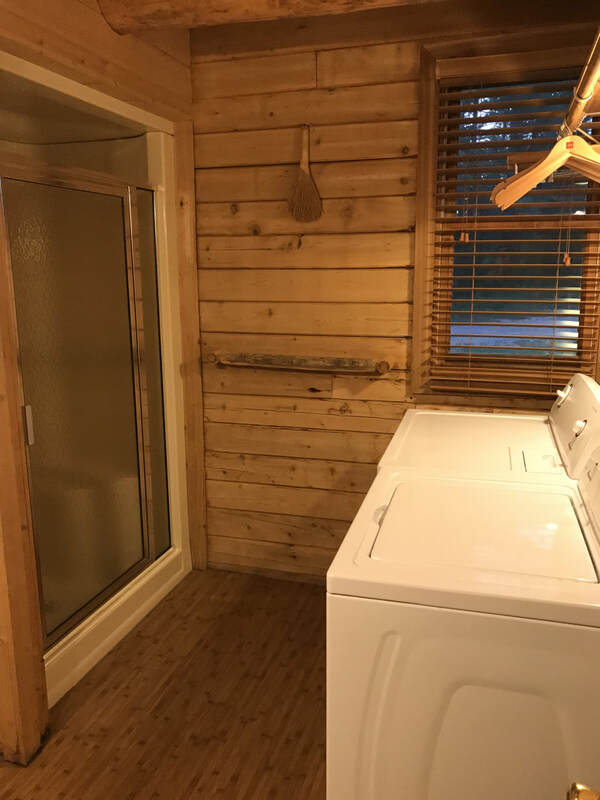 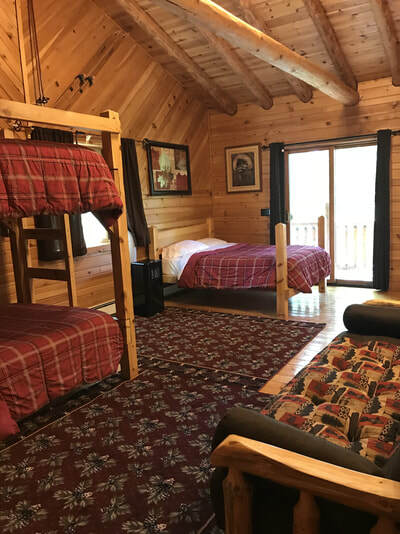 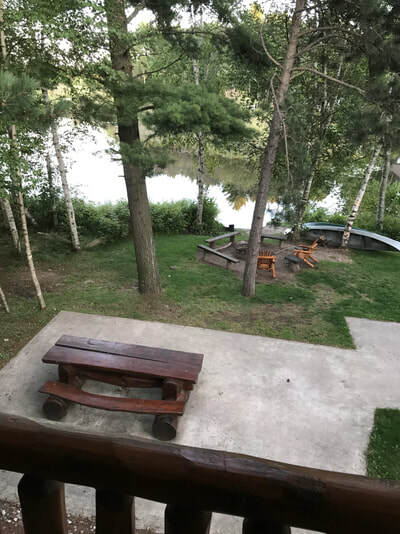 Although the cabins are right next to each other, they both have their own river access area, fire pit, and yard furniture. 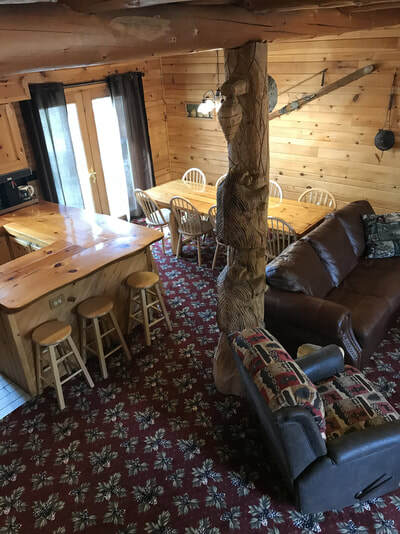 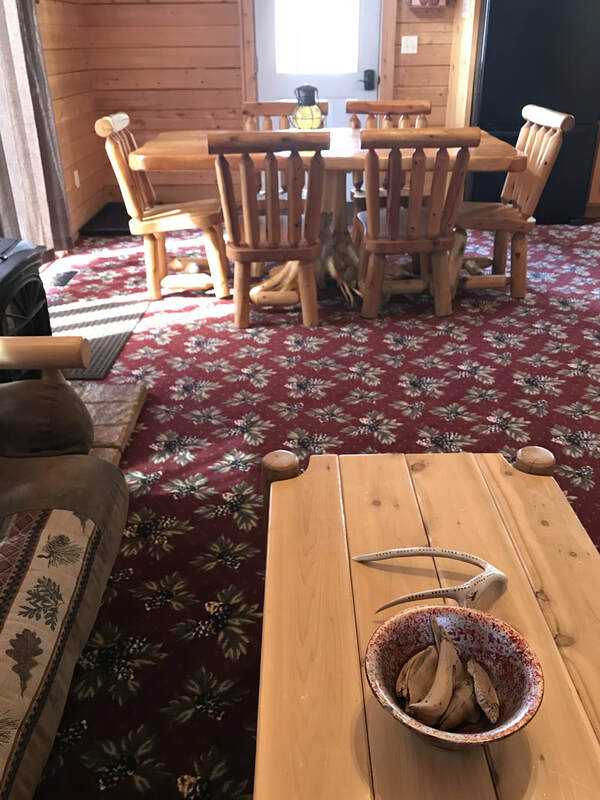 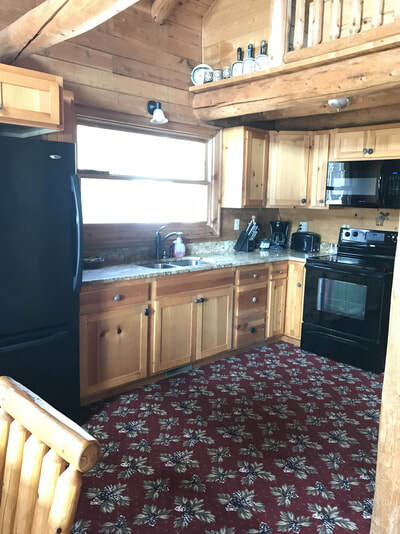 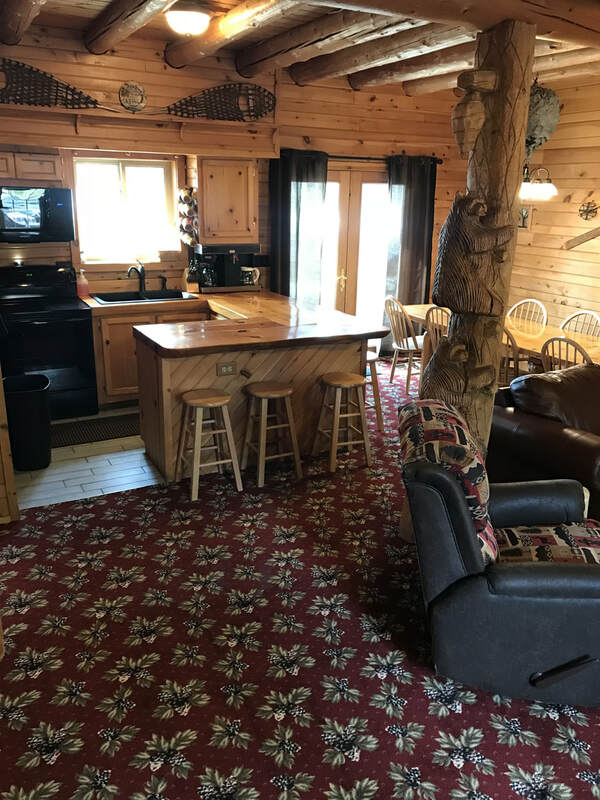 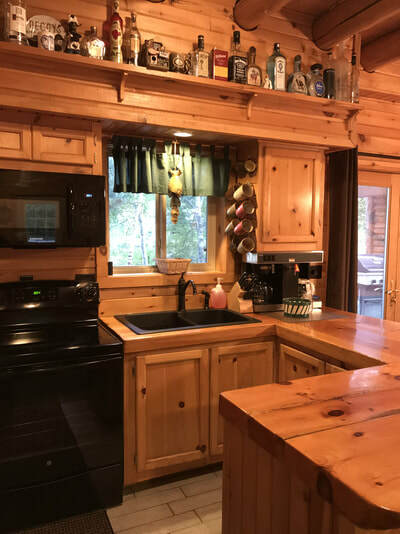 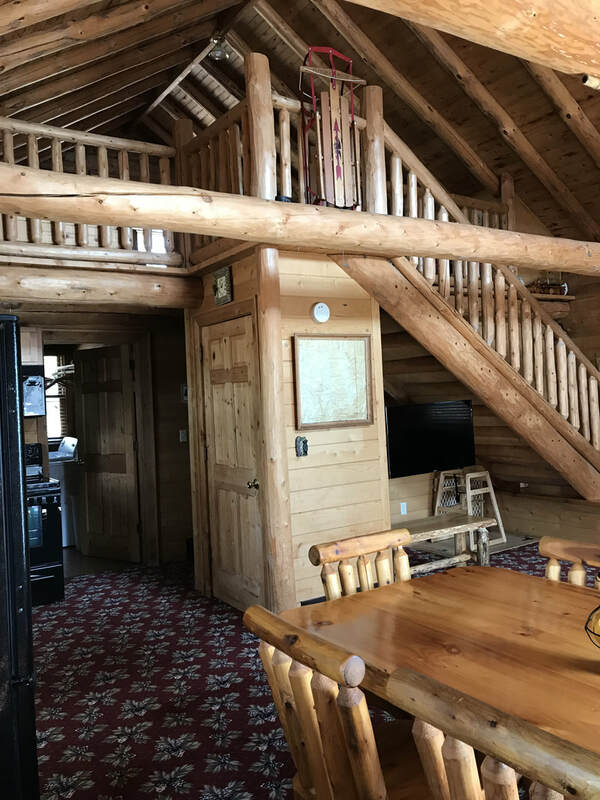 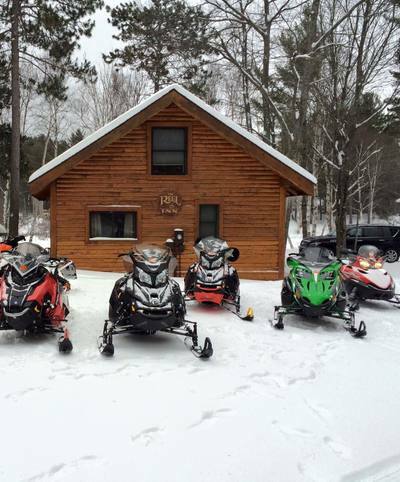 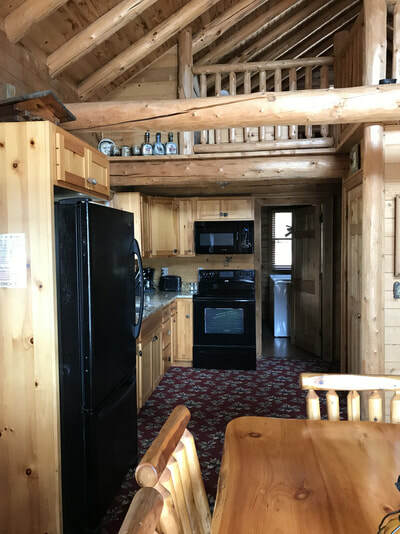 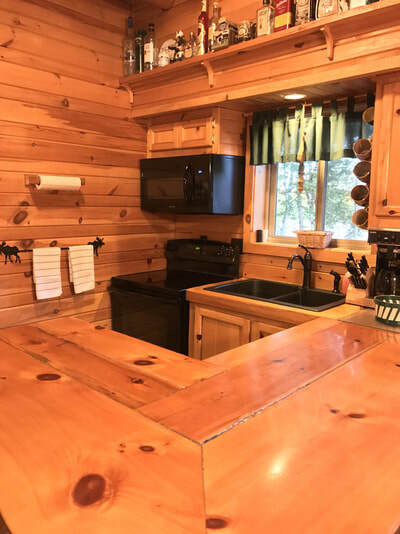 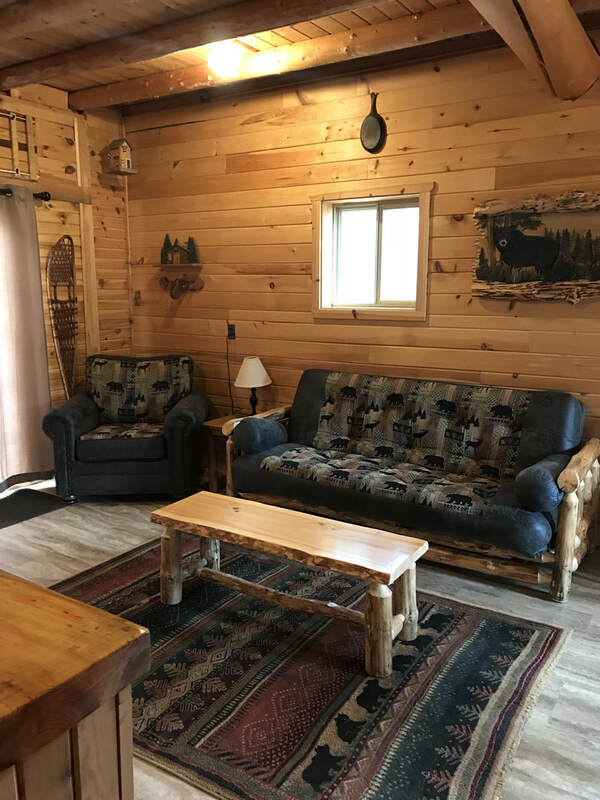 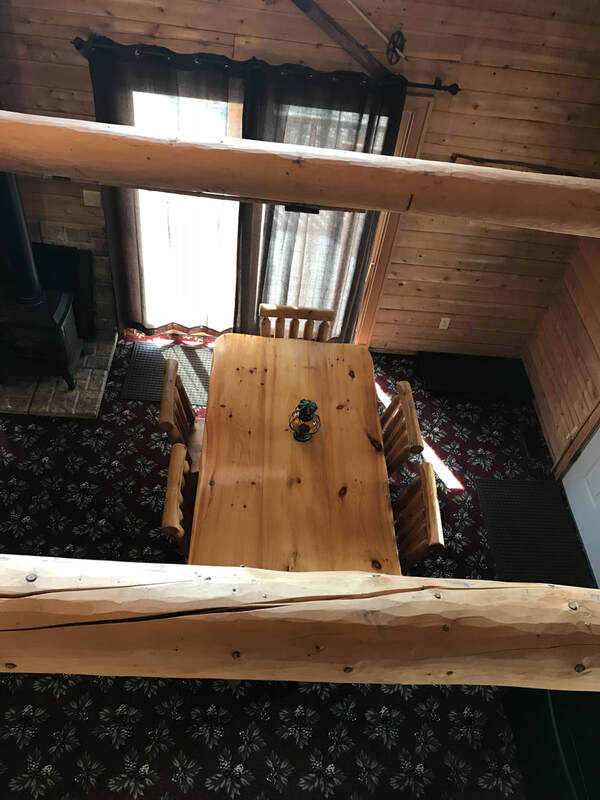 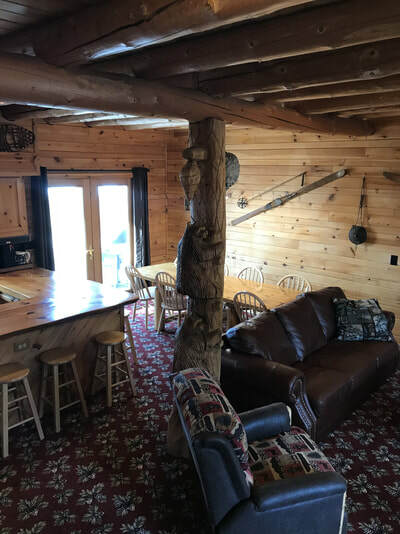 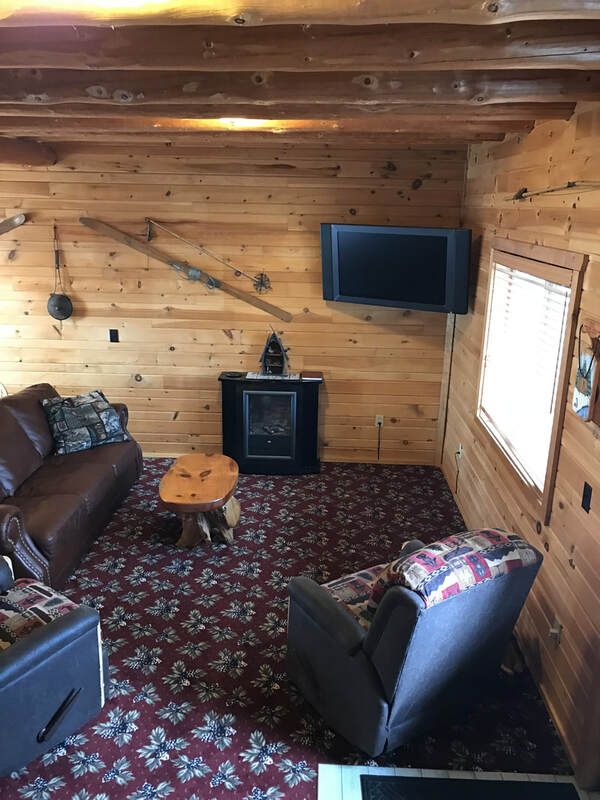 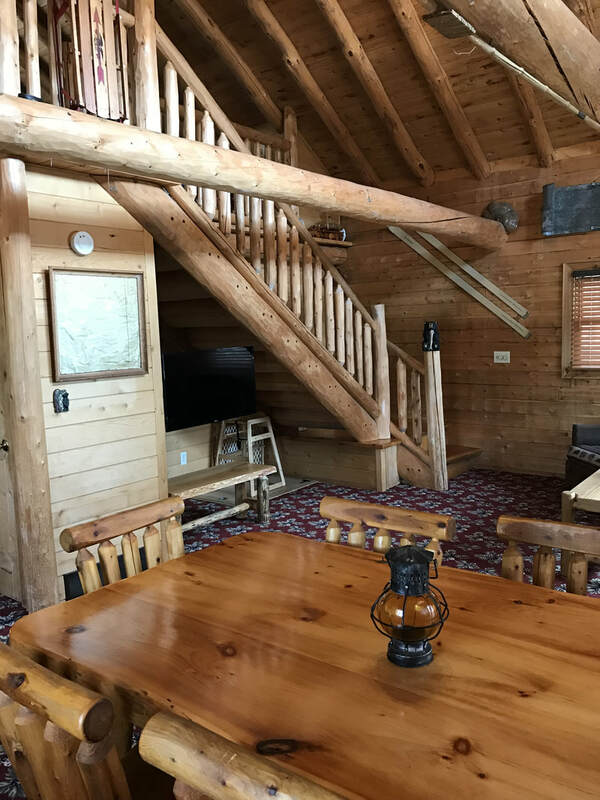 We rent out our cozy cabins year round so if you love to snowmobile, we are located only 1/3 mile from the main snowmobile artery. 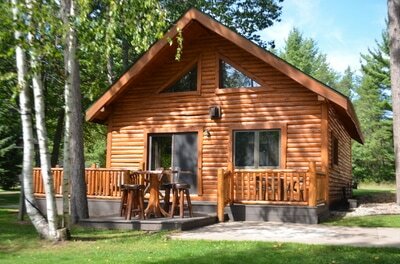 If its fishing you enjoy, well we have seen some pretty impressive fish caught right out the door of the cabins. 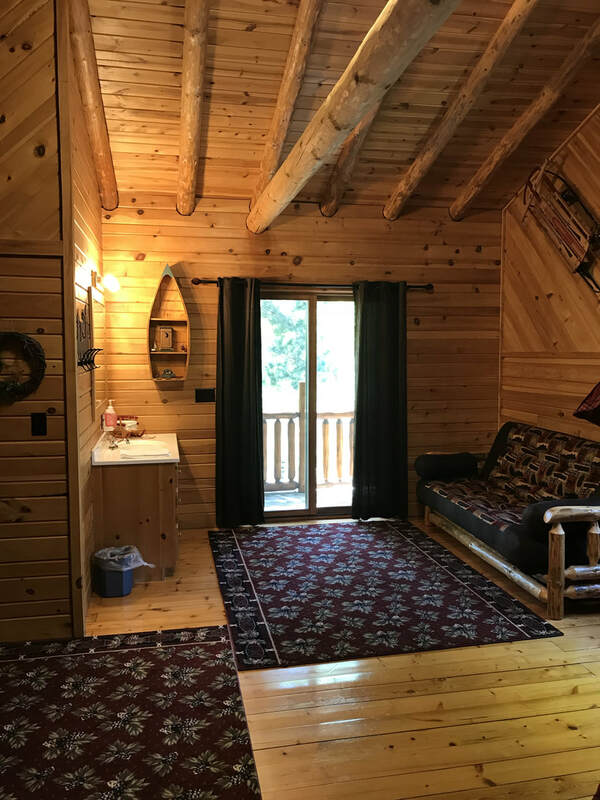 Maybe its the beautiful Pictured Rocks, waterfalls or hiking trails that draws you here, well you are only a very short drive (just a little over 10 minutes) to all of these. Finally if its the water, kayaking, canoeing, or just playing around in our paddle boat, well its right there waiting for you to explore. 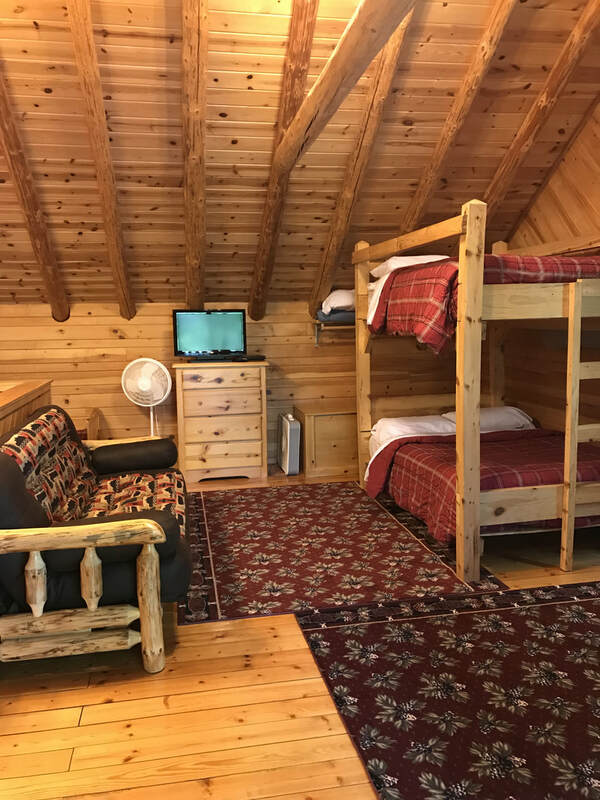 All these possibilities and many more to start you memorable family vacation. 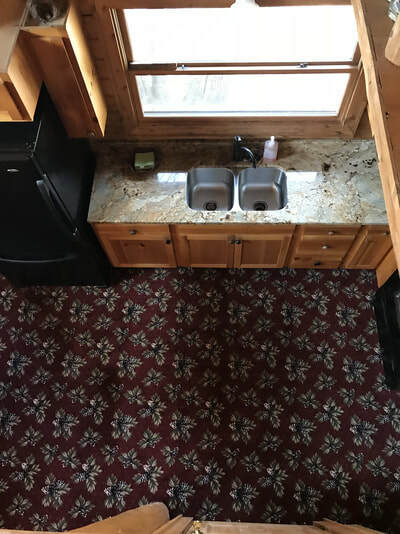 One last final thing worth mentioning is you are located only 1/3 of a mile from one of the top 10 most pristine sugar sand beaches in the U.S. Just hop on one of our complimentary bikes or tandem, and pedal on down to the beach, better yet, grab one of our complimentary canoes and paddle down to the beach. The river current is so gentle, you can even paddle back. 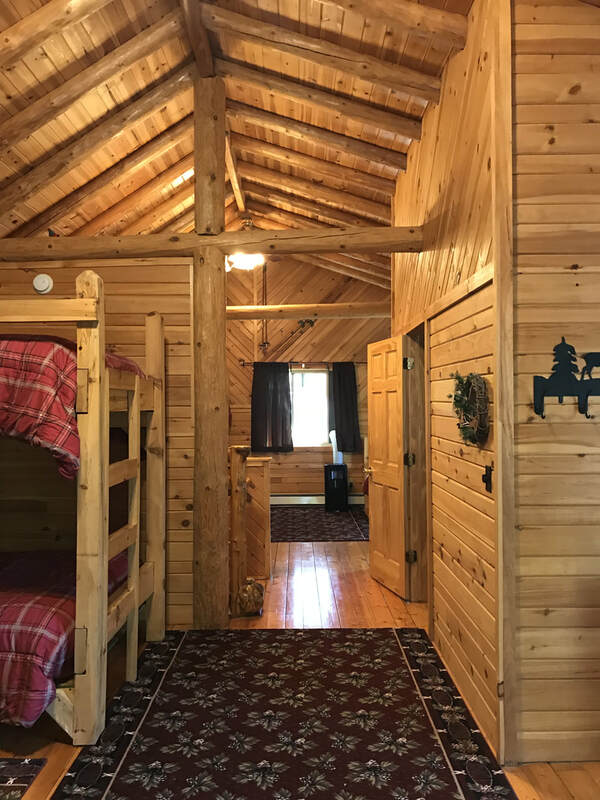 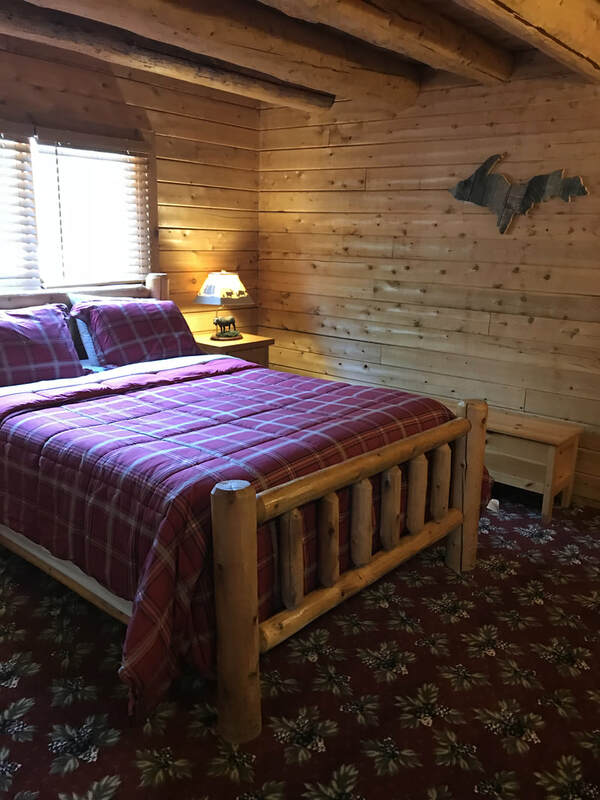 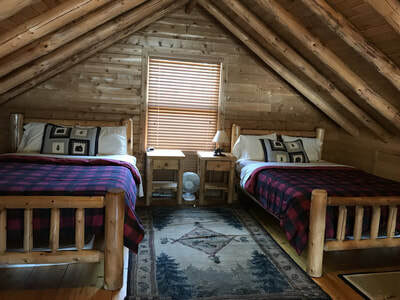 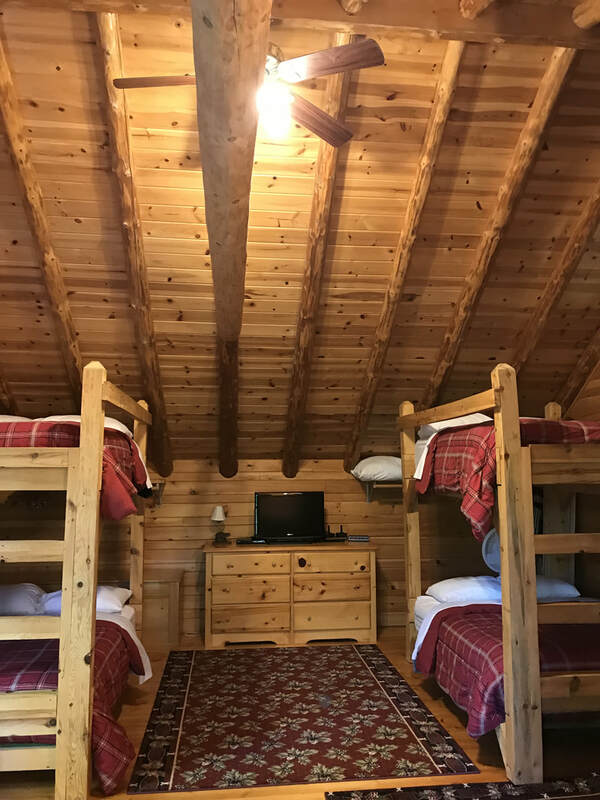 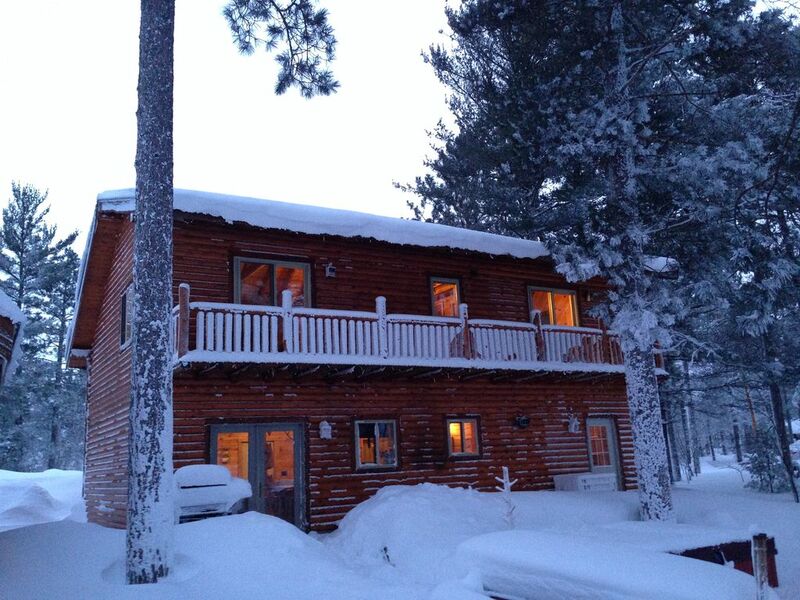 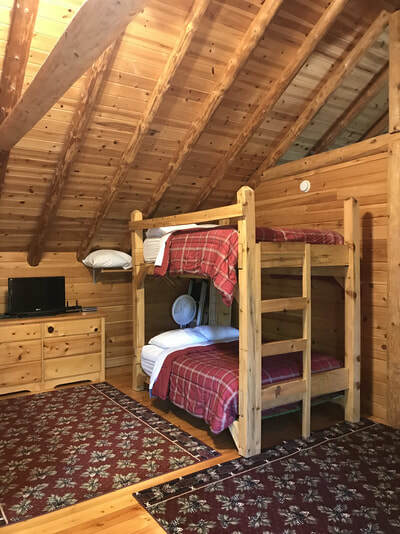 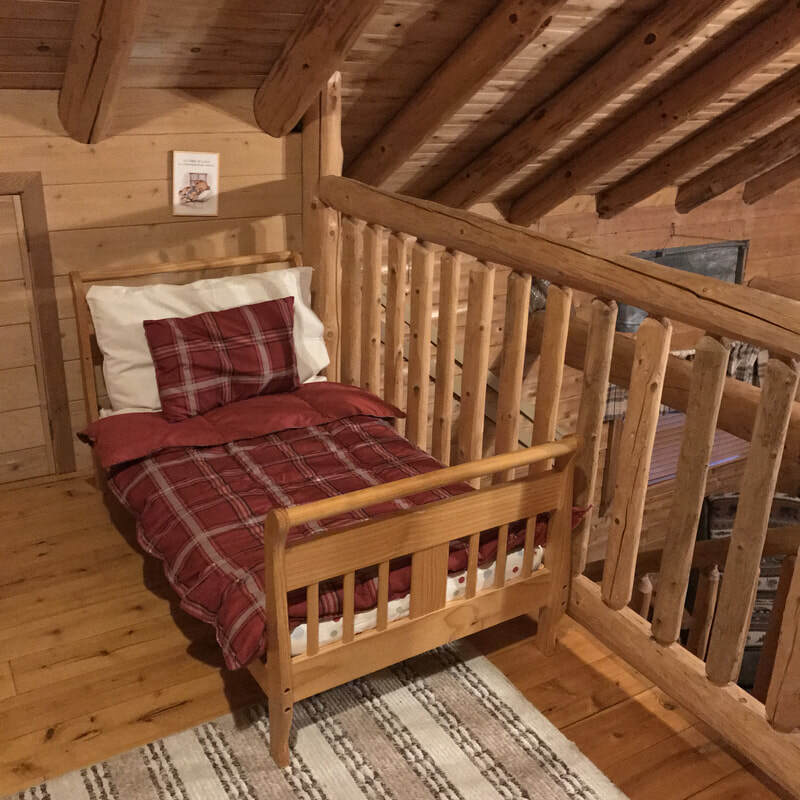 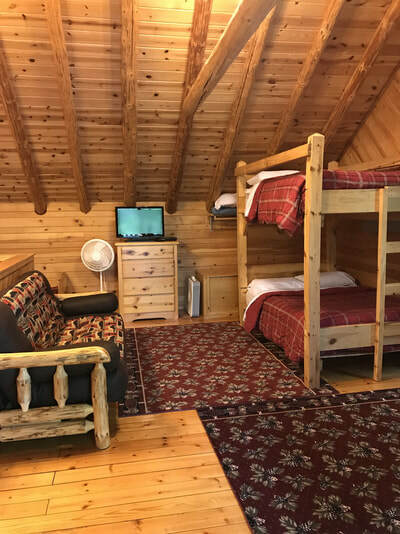 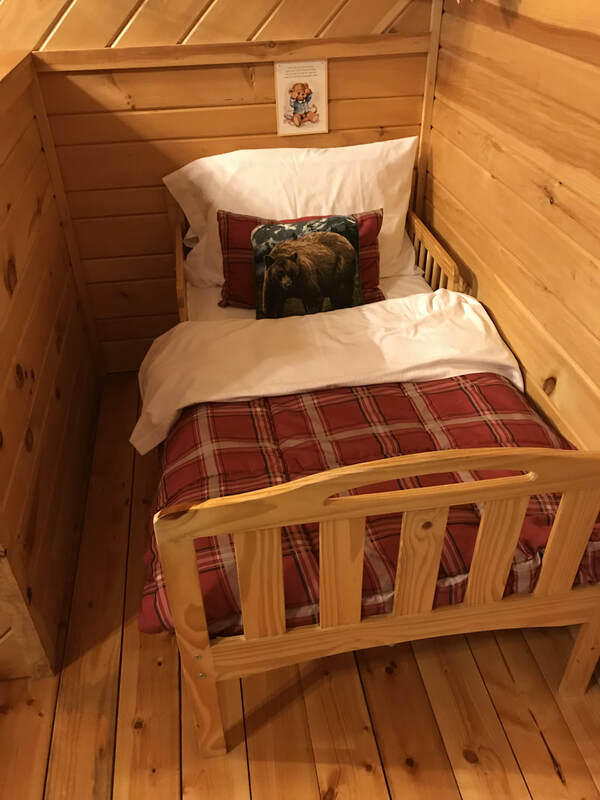 Start building your family memories right here at the Reel Inn cabin or lodge.